A certification provider has begun issuing credentials via the blockchain, a technology that is becoming a new standard for ensuring trust and verification of data. Accredible, which has operations in five countries, reported that it has already issued 5,000 credentials for "hundreds" of clients, including several professional councils and institutes. 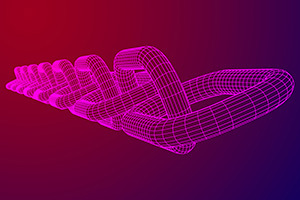 The blockchain is a digitized, decentralized, public ledger of transactions best known for providing security in bitcoin and cryptocurrency transactions. In credentialing, the blockchain works by maintaining every transaction to every computer on the network. If somebody tries to create a fake credential, it can't be verified; in fact, once a credential is recorded to the blockchain, it can't be changed, faked or spoofed. The company doesn't simply issue credentials; it also provides an online platform for designing digital certificates; managing creation of the credentials; allowing people to verify them; allowing the credential holder to share them on social sites, such as LinkedIn; and providing reporting for certificate issuers on where the certificates are showing up online and how frequently they've been viewed. The advantage, according to Accredible, is that the use of the application dramatically shortens the amount of time involved in creating and issuing certificates by traditional means. Among the organizations using the blockchain service are the MOOC provider Saylor Academy and the American College of Healthcare Sciences, which does online degree training on holistic health. "The implications for the industry are huge: Using blockchain means we can now offer credentials that are vastly more secure," said Alan Heppenstall, co-founder and chief technical officer for the company, in a press release. "In an age where reputation and trust means everything, this is consequential for the legitimacy of online learning and the credentialing industry as a whole."